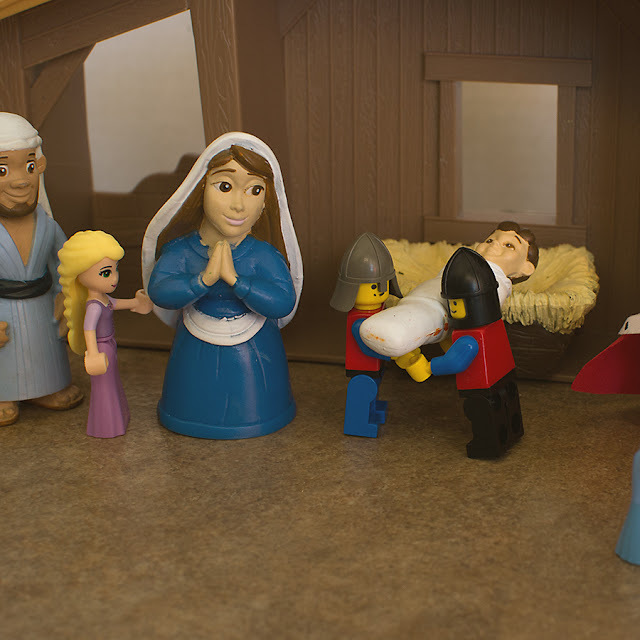 Day 3 of the Minifigures trying to help with Christmas. 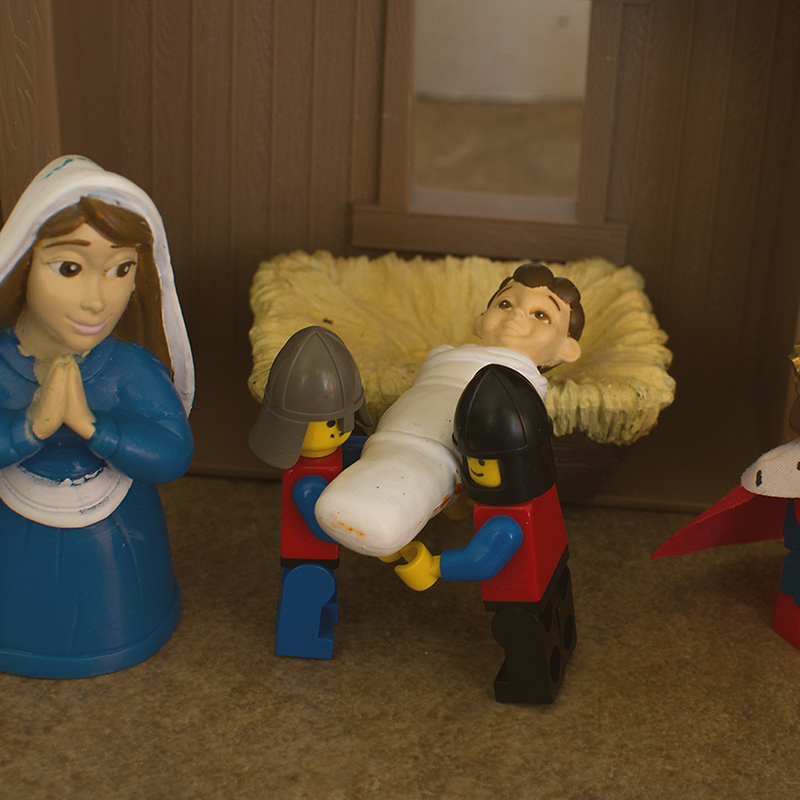 Last night they were trying to help set up the Nativity scene. They didn't quite finish by morning. 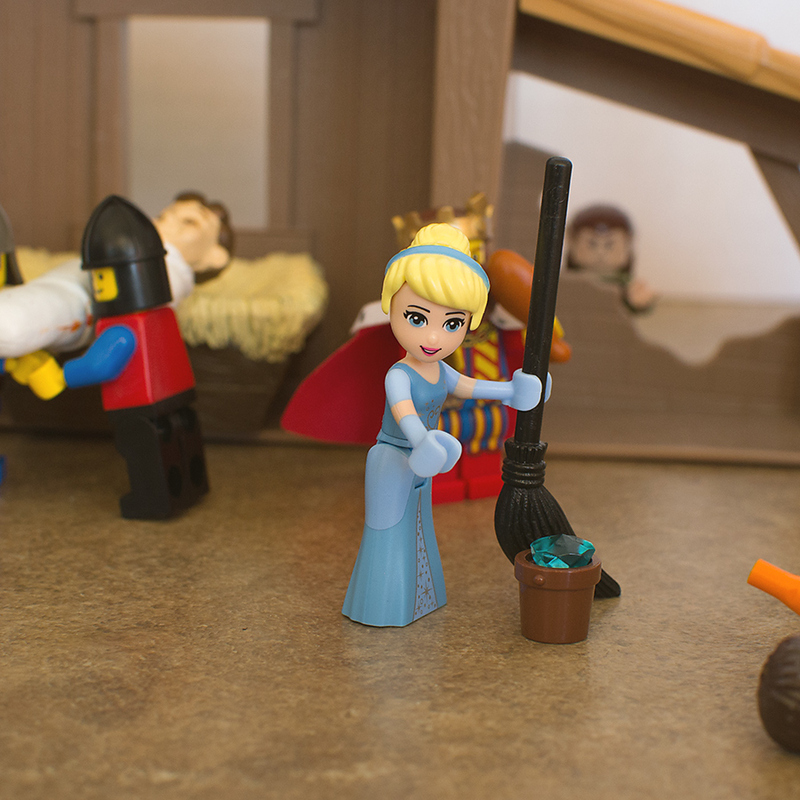 It looked like the Princesses were doing most of the work. 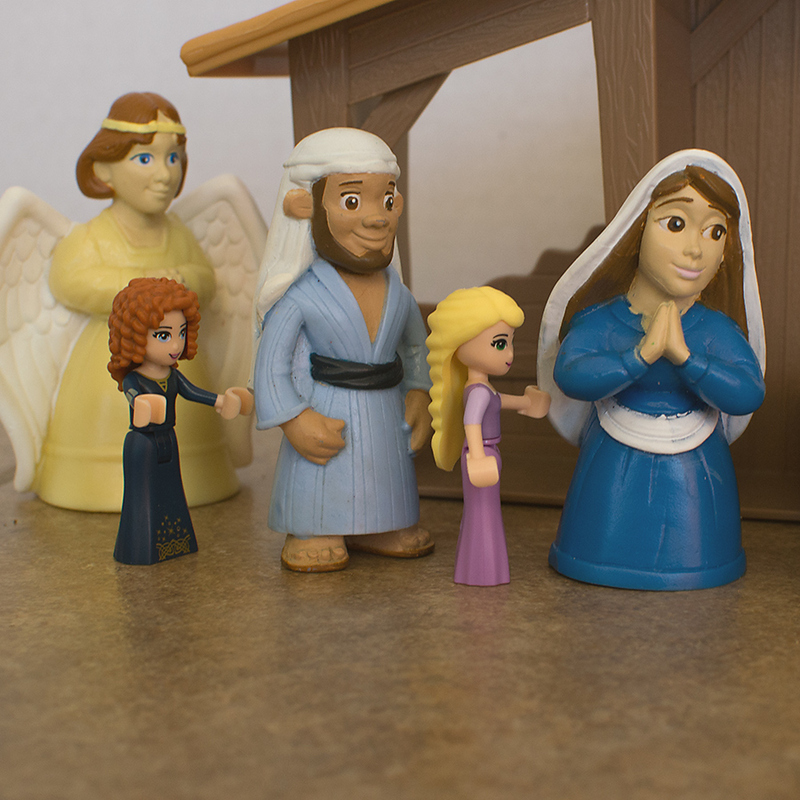 Merida pushed Joseph into place and Rapunzel pushed Mary into place. There were two helpful soldiers. Cinderella was in her element.....mopping. 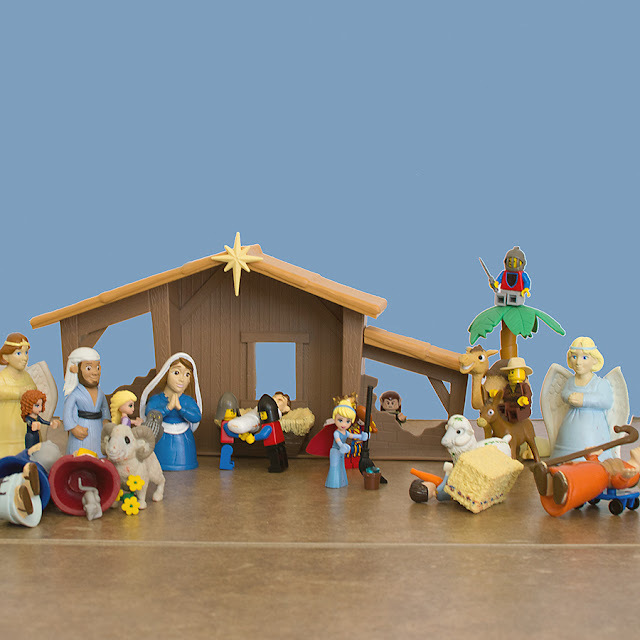 The king was eating and drinking and making merry. What is Prince Charming doing? 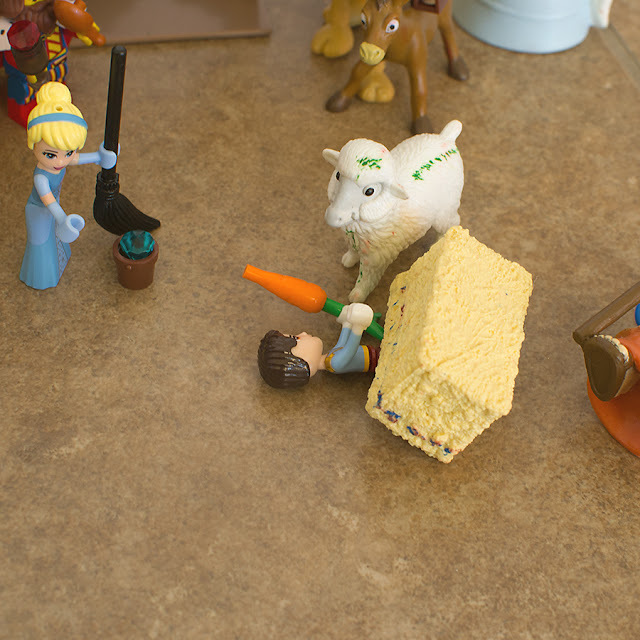 Oh, it looks as if Prince Charming couldn't carry the hay bale. Or maybe he just wanted to lay on the ground and try to feed a plastic sheep? 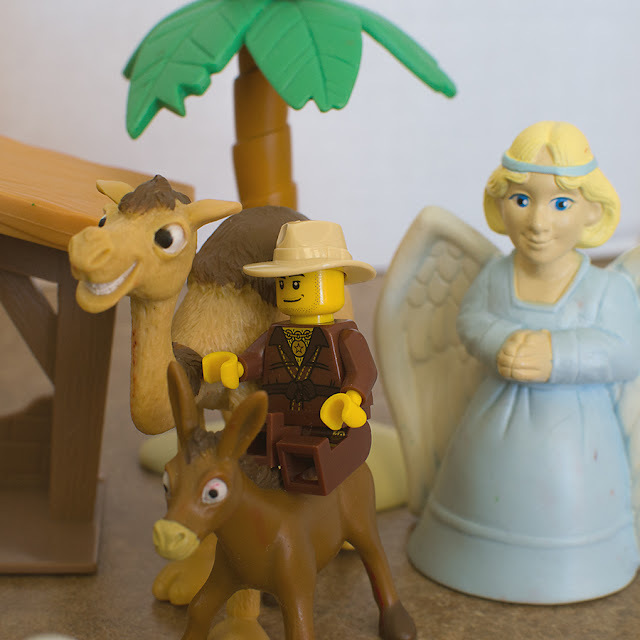 This dude is trying to ride the donkey. 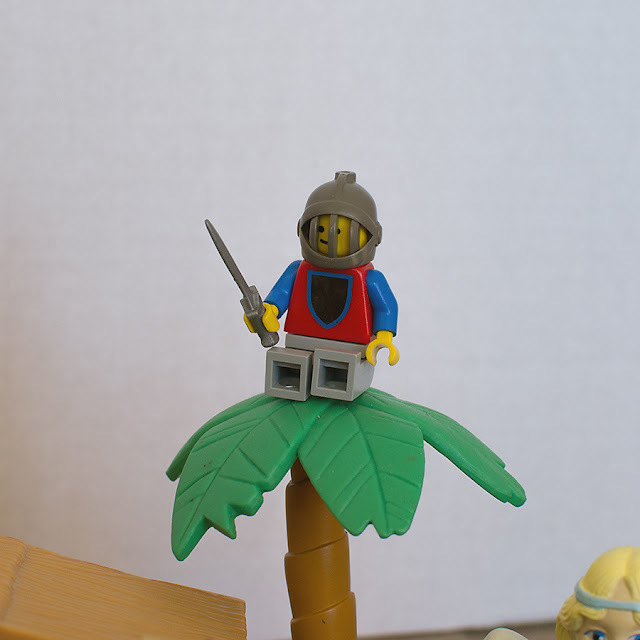 This solider is keeping everyone safe from the vantage point of a palm tree. Or he just wanted to see if he could climb a palm tree with a sword in his hand? 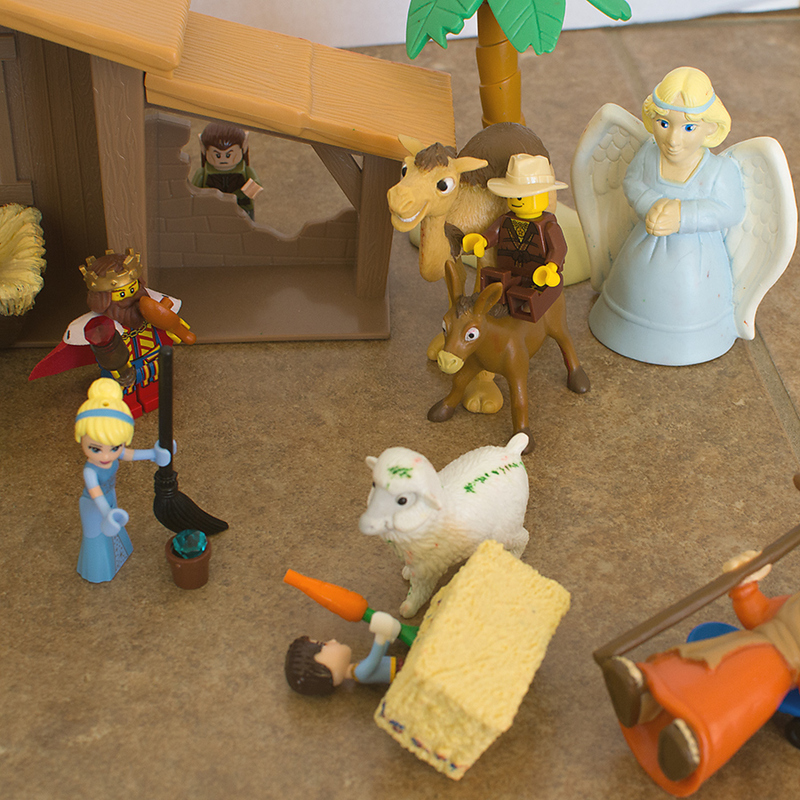 Placing Baby Jesus in his manger. He is the Reason for the Season. 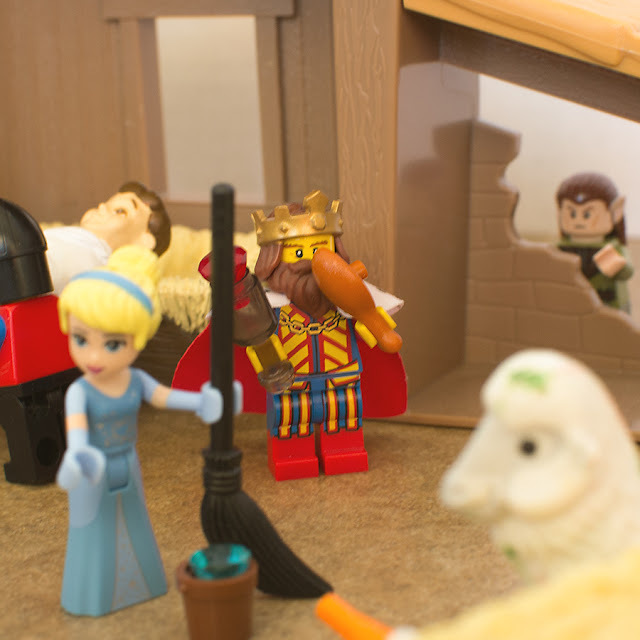 Thank you Lego Princesses, Royalty, Soldiers, and Dude for helping to set up the kids' Nativity Scene.